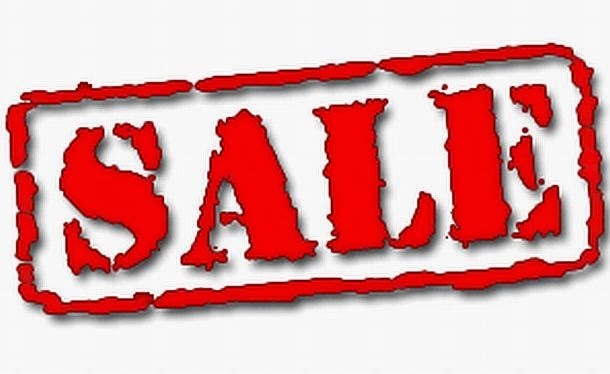 The SALE season is upon us! Every Retailer, especially those in the lifestyle space routinely announce and execute the “End Of Season Sale” (EOSS). Advertisements, posters, etc., scream varying percentages with the word “Upto” mentioned in small print - for example “Upto 70% Off”. Although the intent of these EOSS offers is to clear stocks and shelf space for the new products, lines and styles, this is becoming counterproductive in many cases. 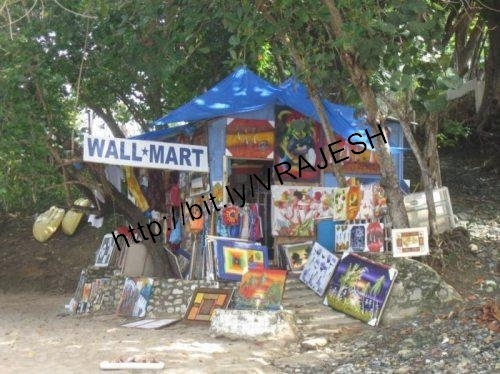 Shoppers have started expecting such offers and their timing has become a well known fact. As such, the customers tend to often wait for EOSS to make their purchases. Ironically Retailers have realized that and are beginning to feed this habit by planning for special EOSS stocks which defeats the very purpose of this activity. The reality in Indian Retail is that most promotions by and large are run without much thought and no clearly defined specific objective. Most promotions are being planned to increase sales and then every category jumps on to the band wagon to leverage the increased customer walk ins. EOSS is also going down that road and this is definitely not a good trend. For starters this trend is clearly conditioning the shopper against the regular pricing being offered at any store and skews the sales trends heavily. In the case of mass merchandisers, the skewed sales trends do affect the inventory levels, forecasting, etc. Even after normalizing the sales for promotion impact, the data cannot be completely trusted because there are similar promotions on the same brand being offered by other stores and this also skews the data. This brings me to the ago old debate of Hi-Lo promotion led pricing Vs EDLP or discounted pricing. Although EDLP offers consistency and its resultant benefits, promotions bring in excitement which has its own set of benefits for any Retailer. Am I proposing that Retailers do away with promotions and only follow a discounting model? Not at all. My view is that promotions are not only tactical but also a part of the Retailer’s strategy. As such promotion planning needs to be done in a structured and well planned manner. Let me elaborate on one aspect of structured promotion planning which is setting objectives. When asked why that particular promotion is being run on that SKU or category, the inevitable answer is either about increasing sales or because competition is doing the same. In other words a well defined and specific objective is missing. Any promotion must be structured to deliver a result which will clearly impact one or more of these three elements. This is important because different categories and varying promotions impact each of these three elements in a different manner. For example impulse or low involvement categories are great to increase footfalls but would require a very strong offer. Execution is the next important factor to ensure that the promotions deliver the desired results. Whether it is with regard to having adequate stocks or having the proper signage and promotion communication, every execution element plays a vital role and cannot be ignored. Last but definitely not the least is the store staff briefing which can in some cases make or break a promotion. Let me share an example. An apparel store was offering a gift voucher linked to particular slabs of bill value. When the cashier was billing my purchase I noticed that I had become eligible for one such gift voucher and wanted to use the value of that voucher against the remaining purchases. Therefore reduce the total amount I was paying. When I mentioned this to the cashier, as expected, he became flustered and called the supervisor. I was surprised to find that the supervisor was well briefed and he checked my purchases and briefed the cashier to bill the products as I had requested as also capture the gift voucher number against the second bill. There are two take aways from this incident. From a shopper’s perspective the majority of cashiers and supervisors would be flustered in such situations and take the easy way out by saying that it is not allowed. Briefing the staff helps the customer get a clear communication which build loyalty instead of making them frustrated. However, from a Retailer’s perspective this seems like a waste of promotional budget. Neither is it bringing me back to increase their footfall nor did it make me buy more and therefore increase the average bill value. Why did that Retailer throw away that margin? Very clearly promotions are not easy to plan and manage. To be able to achieve the right balance between positive business impact as also happy shoppers, the Retailer should have planned the promotion with a lot of thought, data and a clear objective. In the absence of adequate thought and planning for any promotion, the Retailer is only buying sales! The obvious topic related to technology impact on shopping is about E-Tailing and I am not going to talk about that since this is not anything new. At several forums, I have been talking about two specific technological developments which would completely change the paradigm of shopping as we know it today. Retailers better be aware of this and stay ahead of the shopper learning curve. Otherwise, they are going to be left behind. This is especially relevant for Indian shoppers as we tend to have a high learning and adoption curve when it comes to new technology. The first is about 3D printing or 3 Dimensional printing. My attention was drawn to this emerging technology when a few months ago, there was a news item about someone in the US using 3D printing to make a gun at home and even firing a bullet from it. Since then I have been reading about some amazing stuff that 3D printing is enabling. Another person has downloaded the entire blue print to print an Aston Martin car, which is the vehicle favored by James Bond. Check out this video about how this is being done. My view about 3D printing having a high impact on retail was validated when I read about sweaters you can print or rather knit at home. Appalatch is a woolen and cotton cloth manufacturer. They are now spearheading a campaign to encourage customers to purchase a Stoll knitting machine which is being positioned as a 3D printer of knitted apparel. While the cost of this machine is prohibitive as of now, it is bound to come down and become affordable soon. If other apparel manufacturers join the bandwagon of enabling you to print or make your own apparel at home, the cost is bound to reduce soon. Click here to read a detailed article about this development. The second related technology is about Google Glass. It is essentially a computing device plus a camera which is internet enabled and mounted on a pair of spectacles. The wearer can do a multitude of things with this device and the technology. You can look up details, take pictures, post online, etc. 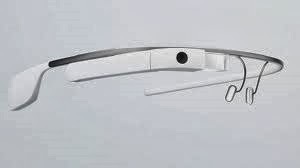 See this video about Google Glass to know more about it. Google glass offers tremendous opportunity areas for Retailers to engage shoppers and even offer some differential services and experiences. However, the interesting development that I foresee is when a shopper pairs the above mentioned two technologies. Supposing I am outside and see something I like, the picture can be taken using Google glass, online search for 3D printing can happen with options for customization and personalization, checking of price, etc. Finally I can even complete the transaction and trigger a print to my 3D printer at home. So, I arrive home to find the product ready for my use. What all can I purchase like this is limited today but has no limit in the years to come. 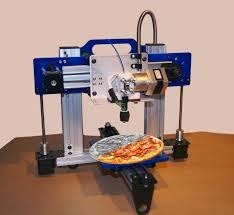 When edible pizzas and burgers have been printed, can other products be far behind! Retailers can no longer just be providing merchandise for sale. If they do not add value to the shopper in several other dimensions, the stores might end up being exhibition halls where shoppers come to check out the products and use the technologies mentioned above to make the actual transaction from elsewhere. If store staff did not like smart phones because it enables immediate price benchmarking, God help them when the scenario I have mentioned becomes a reality! Click here to join the discussion about shopper impact on my Facebook page. A few days ago I had shared a post on my Facebook Page about shopper events and how they have a significant impact on customers. This thought and memories of some of the powerful events planned and executed by the teams I have worked with was triggered by a video about an airline which decided to convert a park bench into a memorable experience for those who sat there. Watch this video and remember to notice the range of positive emotions that plays across the faces of those who are experiencing this event. In that context I would also like to share another video of a restaurant which had conducted an interesting event where they said that “beautiful women need not pay”, The best part of this story is that the event was so successful that their sales increased by 35% for that day. On the topic of events I happened to read a note how Indian Retail is increasingly experiencing the positive sales impact of events and most of the chain stores have indicated increases in the range of 12% or so during events. But, that is only the tip of the ice berg. The bigger story is about the everlasting emotional impact that good events create in a customer’s mind which results in positive memories and also great word of mouth or rather in today’s world great word of mouse. My conviction about the emotional impact of events is validated by the memories of those who have experienced the many events conducted by my team. One of my most personal favorite “Cadbury Love Bites” which was conducted in the late 90’s would have even become an internet sensation if only digital camera and YouTube had been present then. During one of my regular forays to the various Retail outlets I came across this very well presented Shop-in-Shop (SiS) for a coffee brand. The whole presentation was very impressive, the promoter manning the SiS was helpful and the coffee aroma that was wafting around that place had its own impact. The fundamental idea was quite simple. 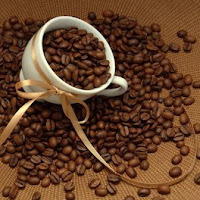 The customer chooses the preferred roasted coffee beans, which is weighed and then put into the small machine which grinds it into the powder ready for making filter coffee. The customer whom I saw was so involved in the process that the anticipation of going home and drinking the coffee was clearly etched on his face. Definitely, this was one of the best moments of customer engagement seen by me. Such SiS seems to be a good option for brands that are keen to engage customers at a retail level as also have a high level of brand visibility. One can see similar examples for color cosmetics in the counters maintained by leading brands in health and beauty as also department stores. However, the key difference was the degree of customer engagement. While the cosmetic counters definitely are very good for brand visibility, it is yet another purchase point for a shopper. Some initiative to engage the customer might increase the impact of such counters. Lastly, is the all important factor of cost Vs benefit. I think that such SiS score high on this count also as brands are always in a tug of war with regard to visibility with the chain stores. A minimum guarantee for the space being occupied with revenue share would work out well for all concerned. 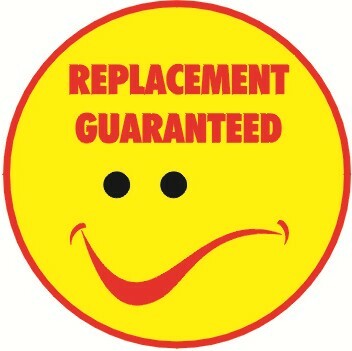 The minimum guarantee can be considered as a marketing expense as it does deliver high brand visibility. All in all a Win-Win-Win opportunity for the brand, retailer and more importantly the customer. Click here to join the discussion and share your views. A few days ago I woke up to see a half page advertisement of a national Retail chain which was trying something new and interesting. They had affixed a scratch card to the advertisement and I am guessing that they were hoping that this would trigger curiosity and drive walk ins. A good idea and this is in line with the basic Retail focus of generating customer footfalls and then focusing on conversion inside the store. However this good idea did not factor in some basic ground realities. 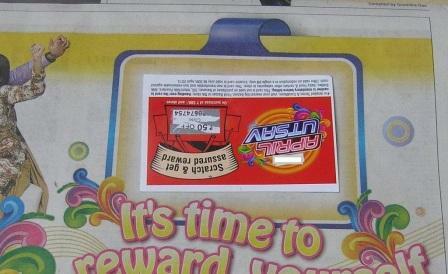 Namely, that a scratch card which has already been defaced will have absolutely no impact on any potential customer. The other reality is that anyone will be tempted to scratch and see what is in such a card, very similar to the universal fixation of breaking the bubbles of a bubble wrap sheet. So, another great idea which sounded fabulous when being presented seems to have fallen by the way side. How could this great idea become very effective? Very simple, factor in the reality that news paper agents will have access to these and if they can insert pamphlets in a paper, they can definitely scratch and see what is hidden. Just print a random number sequence on a card which is stuck on the advertisement. This card can be shown while billing and the offer pertaining to that random number can be accessed from a data table which is uploaded in the billing software. The curiosity value is retained and the idea becomes effective. Lastly, there could be one more perspective. In Tamil Nadu there is a ban on lottery or what is called as game of chance. This is one reason why coupons always have a slogan and then gets defined as a game of skill and not chance. (A leading ice cream brand had to withdraw a national promotion only in TN, a few years ago due to this reason). Maybe, the scratch cards were defaced deliberately. In which case why spend so much of money in making these cards and getting them fixed onto the news paper advertisement. A distinct lack of execution focus seems to be coming through and that is a big NO, NO in Retail. CLICK HERE to join the discussion about “Execution Focus” on my page and share your perspectives and examples. We had been for the mandatory festival shopping of clothes recently to one of the apparel chain stores. The often quoted fact of how visual merchandising influences a shopper by as much as 60% of the time was very nicely validated. Here is what happened and some insights from the experience for Retailers. After having browsed through the various racks of Kurtis and other informal dresses, we had selected a few dresses and it was being tried out in the trial room. Somehow none of the shortlisted dresses were WOW and triggering the final buying decision. When I was walking around waiting to pay the bill (!!) I happened to see a mannequin which seemed to be sporting a very nice and well coordinated dress. It also helped that the mannequin was the right height and size to represent the shopper and gave a very good idea about how that dress would look on a similar person. I asked the customer service staff for the same dress combination, it was tried out and bingo, the sale was through. Great VM work by the Retailer. We persisted and asked about the arrival of fresh stocks and the staff had no idea. She was even doubtful if the stocks of that particular dress would come at all. No doubts, VM and visuals are extremely powerful influence on shoppers and the Merchandising & VM team at that Retailer have done a good job of leveraging the same. However, it could have been even more powerful and the sales impact could have been significantly more if some more basic things had also been done. Plan your mannequin displays and make it relevant. It is not only about the ensemble you want on the mannequin but also the size and proportion of the mannequins. A petite, very thin, mannequin might be a great idea to attract younger shoppers. It might be a better idea to use “plus sized” mannequins for stores where the shopper profile is in the older age group. Needless to say, accessorize, match and present a holistic solution. We ended up purchasing the complete combination. However, the mannequin did not sport any accessory like a wide belt, etc. Maybe a display of such an accessory would have included that also in our purchase. The use of VM visuals as POP and sales promotion aids was very impressive and I don’t see that being adopted by many Retailers in India. It is a great idea and if done tastefully it will not compromise the look and feel factor while having the positive spin off on sales. Lastly, as I often say in my classes and training programs, Retail works like a ball bearing and if each and every component of the bearing does not move freely while being interlinked, the whole bearing freezes and brings the machine to a halt. Good ideas need great, outstanding execution. I had recently visited a standalone apparel store in Chennai and as most male shoppers do, was prowling around waiting for my family members to finish their browsing. When I neared the perfume counter, I saw an interesting and curious thing. There was a small container with lots of coffee beans kept there. Coffee, as you know has a string aroma and my first thought was that some new perfume with a coffee fragrance (Like the chocolate deodorant!!! Ugh) had been launched. As a Retailer at heart, I was curious to know about this and asked the counter salesman. 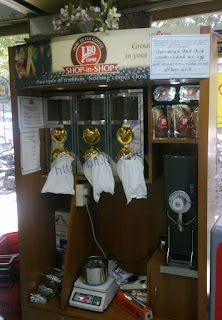 He explained that the coffee beans had been kept there to help shoppers make the right choice when purchasing perfumes. Frankly, this was something new and I asked him the logic. He went on to explain that the aroma of coffee beans were supposed to cleanse our olfactory sense (sense of smell). While it did sound very interesting and innovative, I dismissed the explanation as a sales gimmick as I have not seen this in any of the large lifestyle stores which have far bigger perfume counters offering a wider range. When I returned home, this was nagging me and I checked i out on the internet and realised that the salesman had been correct. Now the larger question is that why the large chain stores do not implement such a simple and customer enabling idea? My earlier posts and articles about customer orientation and ownership of the customer experience highlight the lack of such a simple step. Retailers need to step into the stores more often, think like the customers and implement simple but effective customer enabling ideas. This is possible only when any retailer thinks from a customer perspective which is in turn possible on when they walk the store often enough and interact with customers. Sitting in conference rooms and devising grand strategies without the feet being firmly on the ground or rather walking around in the store is a sure fire recipe for failure. The buzz around social networking sites has been growing over the years and in the recent past we have seen many corporate trying to leverage the same. Unfortunately, the rules of the game have changed and corporates are still getting used to these. However, Indian Retail is still a far cry away from truly leveraging these media options. Barring the few mandatory Facebook pages, there is very little that is being done. Even these fan pages are fairly static in nature which defeats the very purpose of social networking sites. 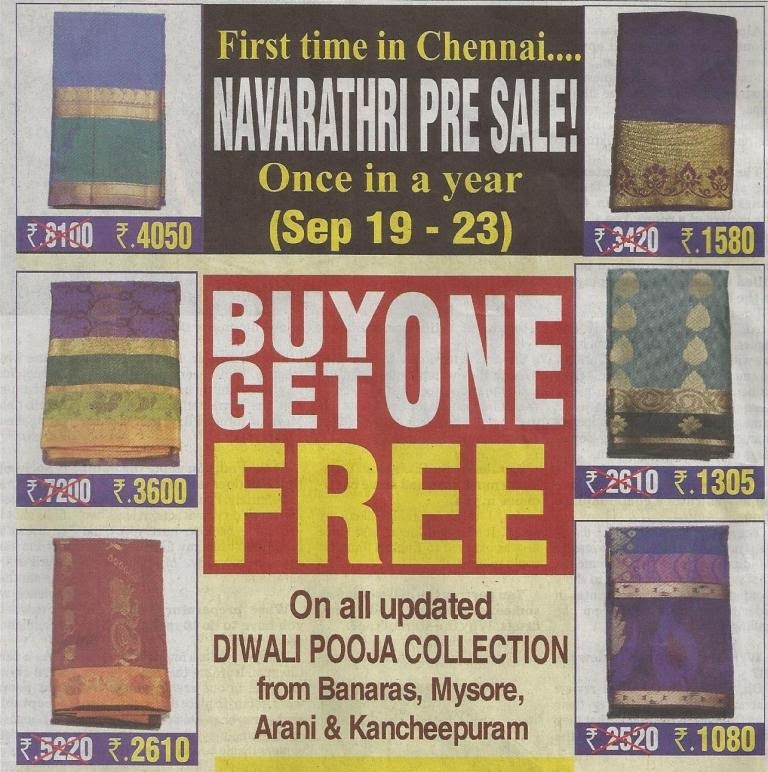 I had lamented the lack of initiative by Indian Retail in leveraging this excellent customer connect platform in my post "Using Social Networking Sites"
Recently, when travelling out of the country I came across this advertisement by a leading retailer. The picture is self explanatory as to how well this Retailer has leveraged the social networking site and more importantly how the positive comments have been taken forward into a conventional media (Newspaper advertisements). Needless to say, this will help create a good and positive cycle of increased word of mouth amongst customers and more importantly potential customers. However, this approach is not for the faint hearted as social networks cannot be controlled and manipulated to reflect only positive things. One needs to work really hard to be able to carry this effort off in a successful manner. Recently in one of my training sessions I was explaining how well this media lends itself to both corporate as well as store level marketing initiatives. Although the participants were very excited and wanted to implement the ideas given by me, they were diffident about the corporate bureaucracy which will eventually kill the idea. It is not impossible but definitely not easy. Will Indian Retail move to leverage this wonderful new customer connect opportunity? Waiting at the billing counter has always been a touchy and sensitive point with customers. They are at their irritable best if there is even the smallest of delays. In fact this factor is now one of the key drivers for customer to revert to their trusted neighborhood store for basic/ functional purchases. Make a phone call and be done with it. So, it was refreshing to see an Indian hypermarket take the bull by its horns and tackle this issue head on. They released advertisements about the “No more long billing queues” and branded it as the Green Line revolution. Quite frankly I thought that they were quite ambitious in their claim and was watching to see how this would pan out. I shared this advertisement in several of my classes and invited inputs from the students in the context of customer service and customer satisfaction. Initially the feedback was very positive with most students mentioning how this was a welcome move and they would try this store just for this service factor. Cut to a few weeks later. This campaign has been on my mind and I was keen to see how successfully this Retailer had managed this service issue and what had happened. In order to maintain objectivity I asked another class of mine to do a field visit to various stores including this hypermarket. They had not been showed this advertisement and there had been no discussion in this regard in the class. The feedback was rather shocking although along expected lines. The Green Line initiative was highlighted as a positive and the message registered well with the student customers. Although under the negatives for that store long lines and a long wait for the billing was highlighted. The net take out was that the claim was not supported in reality and was a huge disappointment. Obviously this Retailer might have ended up irritating more customers than winning them over with this initiative and the fact that this is no longer mentioned in their advertisements seems to validate my point of view. It was creating unreasonable and unsustainable expectations. Service delivery is not only ensuring great service but also setting the right expectations. In this case the customer expectations would have far exceeded the delivery that the Retailer was prepared for. This is not uncommon and I see this often enough. In fact the reality is that most customers might have not even registered the word “long” in the advertisements. They would have registered the message as no more queues. This just another case to the point that Retail marketing is a 360 degree exercise and starts from the home where customers get some communication from the Retailer. Wrong or misleading communications like “Upto 50% Off”, with “Upto” lost in the small print or claims which are not sustainable will hurt more than help. In Retail everyone should get a first hand feel of the store reality by spending time there and ideally working at the store often. Then they will be wary of such actions which are not sustainable. Remember, Retail is all about execution, execution and execution. Brilliant ideas conceived and presented in meeting rooms counts for very little in the reality test of how the customer actually experiences the same. Loyalty Cards; The new toy! I went to a supermarket a few days ago and was informed by a staff member that they have launched a loyalty card. Later while billing, the cashier thrust an envelope at me and said that it is a loyalty card and I can become a member. I politely declined and after another half hearted suggestion to enroll in the loyalty program the cashier gave up. The typical cost of any loyalty program averages at 3% of sales. So, this supermarket chain is now going to incur an additional cost and that is going to put pressure on its other operational parameters. 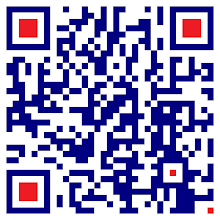 Any event or activity that is to be implemented in Retail needs simplicity and clear cut directions to the store staff. The impression I got was one of a standard briefing email about the new loyalty program and a courier with all the application packs. That could be a key reason why the cashier was not able to highlight the benefits and make me interested in the loyalty card. If the store staff are not sold about a program, how can they sell it to the customer? There are a few more supermarkets on the same road and a few of them also have loyalty cards. As a customer if I do not get what I want in shop A, I will go to shop B without being bothered about the loyalty card. Here lies the issue with regard to Indian Retail. When availability of many products is still a common problem faced by supermarket customers, why should the business waste time, effort and money to run a loyalty program. Customer loyalty can be gained by simply addressing the stock out issues, as a first step! The usual argument to justify such loyalty cards is the possibility of targeted data and therefore better decision making. Frankly, this is a myth. Indian Retail can generate enough data from the POS sales to manage adequate stocks. In fact, the reality is that the POS data itself might have an accuracy of anywhere upwards of 65% to 70%. So, how does data from one more source help? I have faced many situations when someone suggests that we should run a loyalty program and I have some very strong views about it. Loyalty programs per se are not bad or wrong. It is like a sharp instrument. In the hands of a doctor the instrument saves a life and in the hands of a murderer it takes a life. Similarly, if loyalty programs are run without adequate thought, preparation, briefing and very good execution, it will only take the life of that Retail business. The funny thing is that most enabling businesses like the loyalty program implementer, card supplier, etc. will all strongly endorse loyalty programs because it ensures revenue. Whereas the Retailer who gets influenced and implements the program will spend and spend, while a long wait awaits them to realize the fruits of such an initiative, if at all there are any. There is a common saying about easy ways to lose money. It is said that the two easiest ways are to get into gambling or get into Retail without knowing Retailing. A faster and surefire way to lose money is to start a loyalty program as if it were a new toy and play with it!